able to pick up and deliver power cubes to all levels of the field. Sneak under the enemies tunnel​ due to compact size. Able to launch Boulders in the enemy castle with pneumatic launcher. 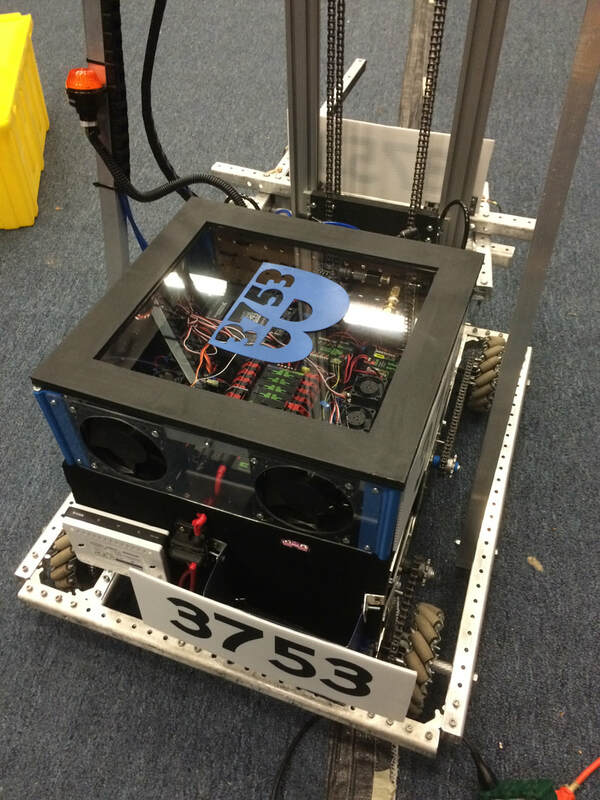 Team 3753's fourth robot, Dalek, COMPETED in Aerial Ascent at the 2014 FRC Bayou Regional Competition! The team also traveled off-season to Robo-Reboot in Dallas (winning that event) and Red-Stick Rumble in Baton Rouge. 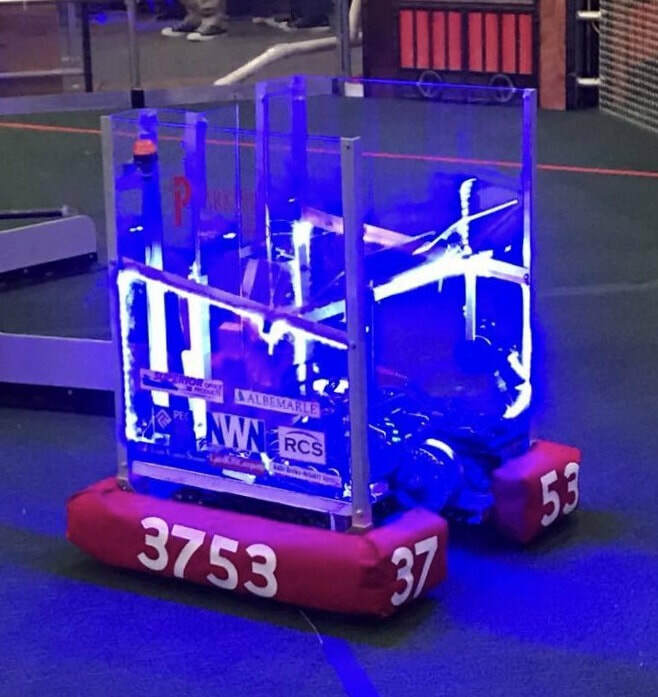 Team 3753's third robot, Charizard, ranked #1 at Bayou Regionals 2013 for Ultimate Ascent as one of the only two robots to go 10-0 in Qualification Matches (along with Team 155). 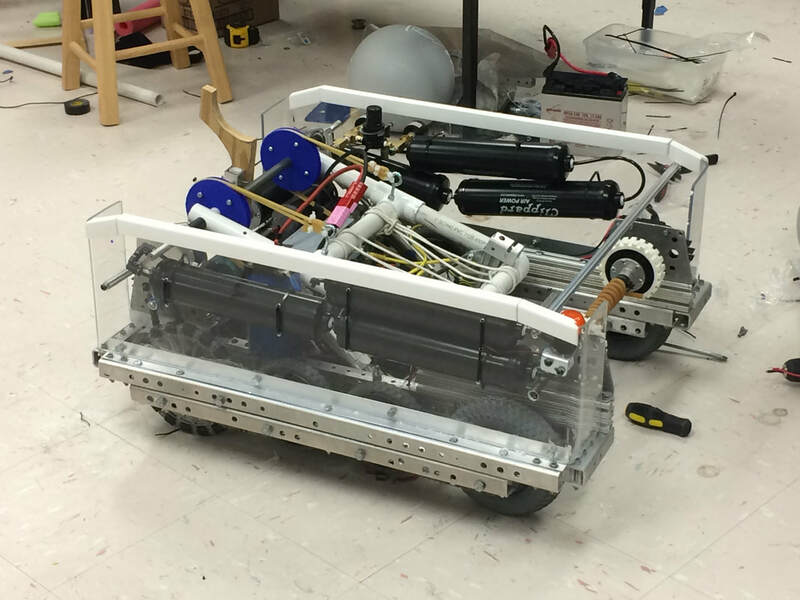 We focused on playing offense with a quick and reliable shooter made up of two pneumatic wheels and some aluminum angle attached to a window motor to push frisbees into the two wheels. With a 4-CIM, 4-wheel drive train (2 front Omni's, 2 back High-Traction wheels), we moved quickly and easily across the field and remained compact enough to travel under both pyramids. Due to our size and speed/power, we were almost never successfully defended. We also used pneumatic arms for a quick and reliable 10-pt climb. 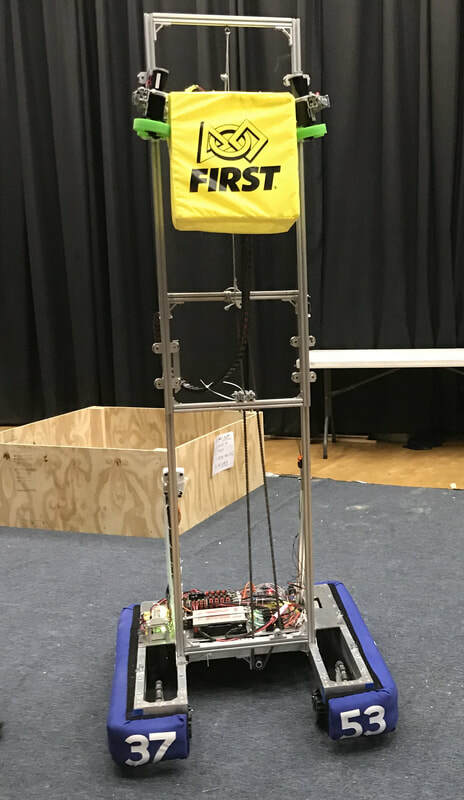 Our average alliance score at Bayou was 96.24 points. basketballs as well as balance on a ramp (Rebound Rumble). It was equipped with two Omni wheels and two 8" high traction wheels. It was built primarily of 1" square tubing. 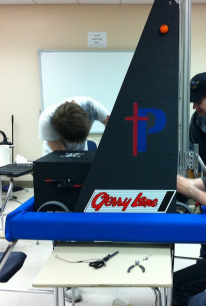 We used LabVIEW for programing and rapidly shot basketballs during autonomous. We attended Bayou Regional. inner tubes on a rack (Logomotion). It was equipped with six wheel tank drive with 8" high traction wheels and composed primarily of wood. 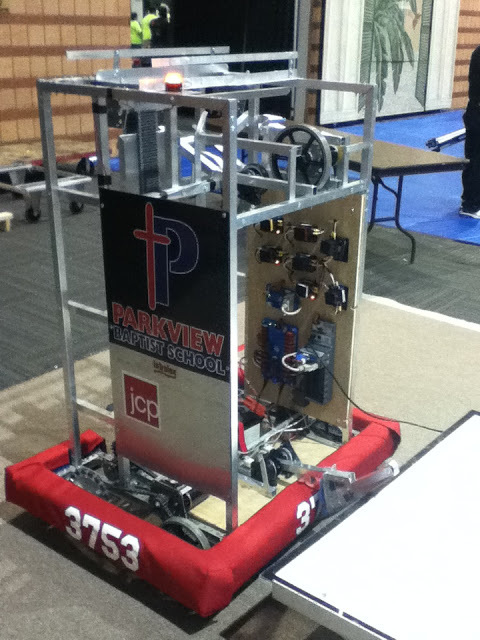 We used LabVIEW for programing and moved to a set place during autonomous. 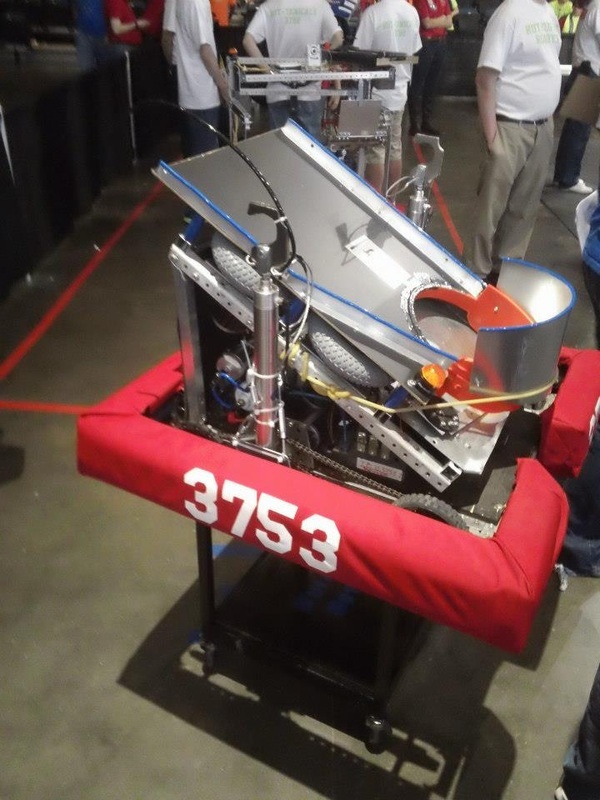 We attended Bayou Regional.